Stanislas Wawrinka took retirement from professional tennis with knee problems developed during his third-round match at Marseille. He said that he was experiencing a typical reaction and he did not have a fresh injury. The player is now 32-year-old was playing his fourth event after coming back from double knee surgery in the year 2017. He said “I hit a forehand volley at 3-3 and there was a slight contact with the knee. The 1st two days of practice had been good, but the matches are not like practice sessions because of the tension, the nerves and I felt that difference during the match.” Though frustrated because of unplanned retirement, Wawrinka was happy looking at his improvement during this week as well as his last two events at Rotterdam and Sofia. 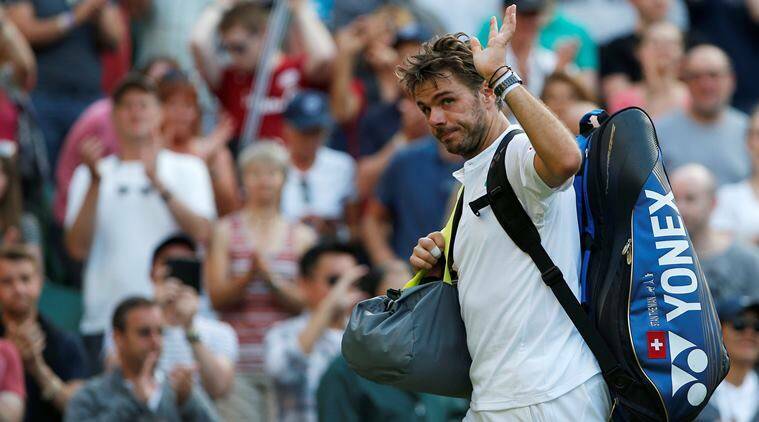 Swiss tennis star Stan Wawrinka is able to walk again as he seeks to make a comeback to the game. The Grand Slam winner took a step in the right direction as he ditches his crutches he has sued for a month and half, according to report. The tennis star underwent a surgery back in Mid-August but he has revealed that crutches are out of the way. He tweeted from his profile on Twittter: ‘Bye Crutches…hopefully see you never again! !’ adding several emojis. After struggling with keeping his foot on the ground and walking around the house, his situation has improved and is believed would continue in that light until he gets fully fit again. US Open champ StanislasWawrinka would not be around to defend his title at this year’s event as he is set to undergo a surgery on his knee. The Swiss is not expected to return to action for the rest of the year. “I am sad to announce that after talking with my team and doctor I had to make a difficult decision to undergo a medical intervention on my knee. This was the only solution to make sure I will be able to compete at the top level for many more years,” the player posted on his official Facebook account. French David and Fed Cup team skipper Yannick Noah has asked that players connect to the crowd more in games. He fingered Swiss star Stan Wawrinka as a player that should develop in this regard. Wawrinka won the 2015 Roland Garros but he faces a tougher task this year with the form of RafaNadal, NovalDjokovic’s clay dominance, Roger Federer’s comeback and Andy Murray’s consistency. 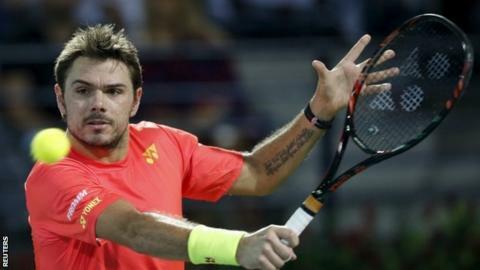 Grand slam winner Stanislas Wawrinka has been knocked out of the Dubai Tennis Championship. The second seed returned to the sport after a knee injury threat that forced him to pull out from the Rotterdam Open. He faced world no. 77 Damir Dzumhur but he lost 7-6 (7-4), 6-3. Since his frustrating semi final loss to eventual winner and compatriot Roger Federer, the Swiss was playing his first game. He was inconsistent in his performance due to his rustiness, which the Bosnia international took advantage of. Dzumhur’s victory will now set him up against Spain international Marcel Granollers in the next stage. 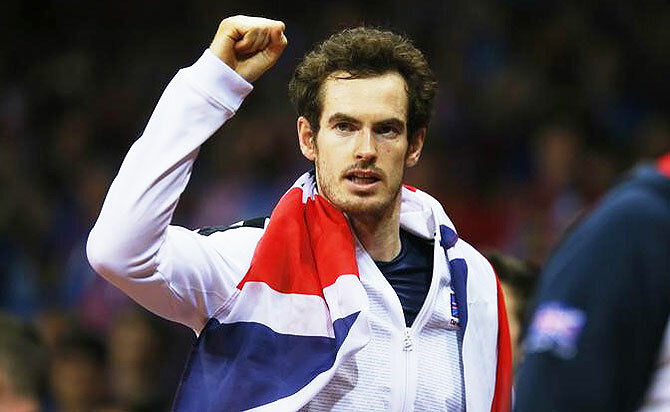 The next edition of the Davis Cup will begin next year, on February 3. The 2017 edition of the competition, which would be the 106th so far, may not feature the likes of Stanislas Wawrinka, who wants to focus his energy on the Association of Tennis Professionals (ATP) calendar. The Tennis star will prefer to focus more on winning individual trophies than combining with the rest of the Swiss team for the 2017 Davis Cup. He therefore reiterates that his focus will be more on ensuring he has a successful season next year. Wawrinka had an uneven pitch on the courts but came off with wins in four tournaments a total of 46 wins and 18 losses, including in the US Open title.